In the colors of a Monet Masterpiece. 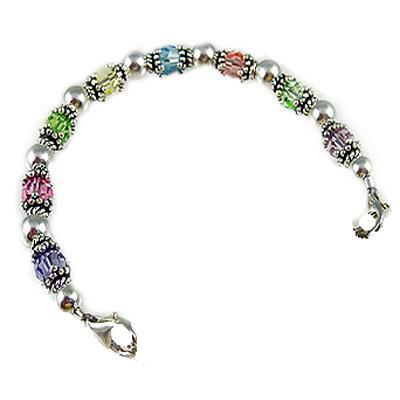 A sparkling beauty... Take a journey of discovery with the hidden treasures in this multi-colored calming hues of 6mm Round Swarovski crystals. Oxidized Bali silver rope edge bead caps & sterling silver rounds.